On the morning of May 19, 1942, the Heredia was steaming from Guatemala to New Orleans. Just as it reached the mouth of the Mississippi River with 1,500 tons of bananas and coffee, it was intercepted by German U-boat 506 and hit with three torpedoes. The explosions after the hits destroyed four of the ship’s emergency vessels, and sunk it in three minutes. 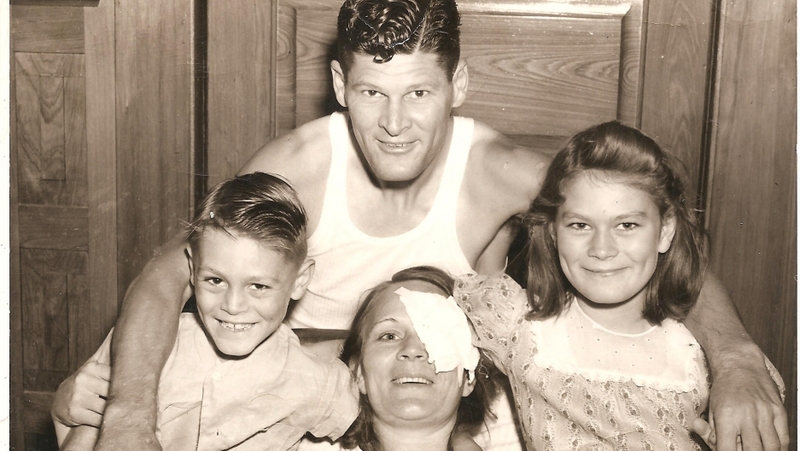 Sixty two people were on board the ship—36 died and 26 survived. Two lifeboats were launched, and several other people were rescued by shrimp trawlers in the area. The Heredia, owned by United Fruit, was the second ship sunk by U-boats in the Gulf of Mexico. On May 4, the Norlindo, which was carrying only ballast, was sunk much farther south in the Gulf. 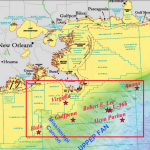 From early 1942 into 1943, about 20 U-boats patrolled the Gulf of Mexico, looking especially for oil tankers carrying oil from Louisiana and Texas. In all, the U-boats sent 56 vessels to the bottom of the Gulf. Only one U-boat was sunk by US ships. The wreck of U-166 lies near the mouth of the Mississippi, sent there by depth charges from PC-566. This patrol boat was accompanying the Robert E. Lee, a passenger ship that was transporting the survivors of other U-boat attacks back to New Orleans. 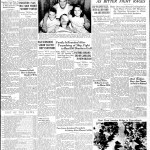 On July 30, 1942, the Robert E. Lee was attacked and sunk by U-166, killing 25 of the 430 on board. PC-566 couldn’t save the ship, but it got vengeance. 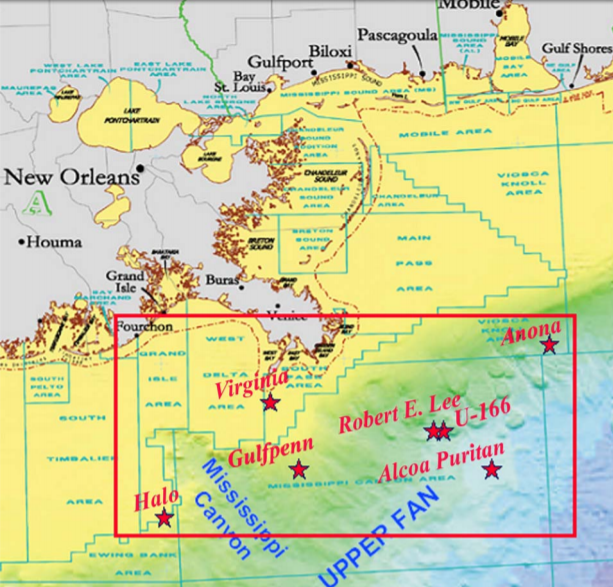 Almost a mile of water sits over the remains of U-166, which was discovered during exploration for the ill-fated Deepwater Horizon oil well in 2001. In 2014, a National Geographic expedition led by Robert Ballard sent remotely operated vessels to map and photograph the wreckage. In 1943, Allied forces achieved advances in radar that shifted the balance of naval warfare, and the Axis and its U-boats never could match them. Casualties from—and tonnage lost to—U-boats decreased dramatically from 1943 on. From a report of the Minerals Management Service on WWII era shipwrecks in the Gulf of Mexico. 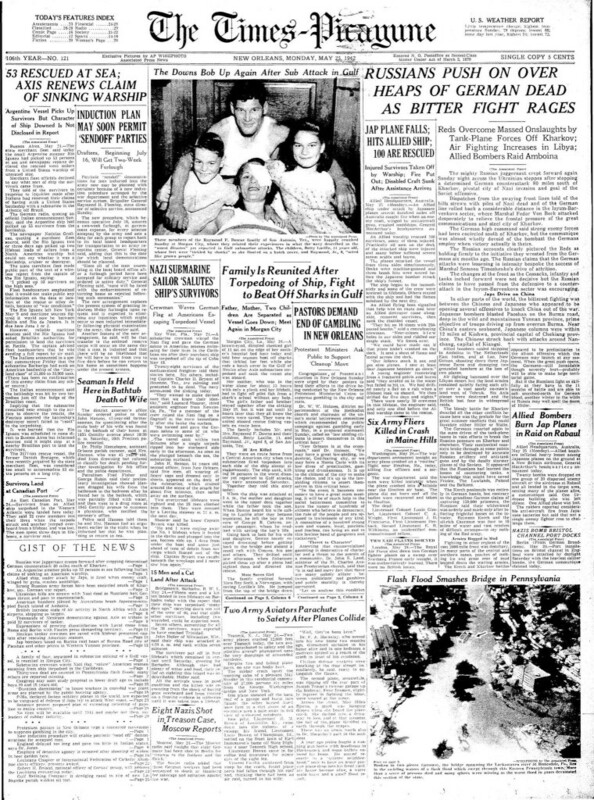 Front page of the Times Picayune, reporting the May 19th of 1942 attack. 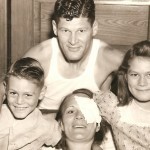 A photo of a family riding as passengers on the Heredia when it was sunk. From the Times-Picayune. Jazzing it up May Classroom of the Month — Get In the Scrap!